1259 Life Is Tough, But So Are You! Life is tough, but so are you! You can fall down, get all scraped up and still come out on top. However, is that what we’re teaching our children? Are we guiding and raising them to be strong individuals? I would love to think so. But unfortunately, we are giving more than guiding. Think about what you do for your children. How much are they really working for? Or is it a matter of giving them what we didn’t have growing up, giving in more than saying no? This isn’t about placing blame for you to feel bad. It’s to get you thinking about the decisions and discipline you have in your household and for yourself. My children still need my advice, guidance, and discipline. But I have found that the older they get, it’s easy to let down my guard. Surely by now they’ve got it together. And then I’m quickly reminded that is far from the truth. No matter the age, your child always needs your guidance and wisdom. And believe it or not, she/he appreciates it. Yet, she/he can’t express it to you, because it breaks the Code of Being a Child. Silence is golden. I was reminded this week that how we handle guidance and discipline in our lives sets an example for our children, young or old. During my coaching session, my son walked in with my water, and overheard what was being expressed and changes I needed to make. Afterwards, he asked me how I was going to handle the situation. Then it dawned on me. He saw that I was being taught and expectations were being placed on me, just like we do to him. I was thrilled and stunned at the same time. Yes, our children are always watching. But they are doing so much more. You see, my son knew I was struggling and frustrated prior to the coaching call. I was stuck. I didn’t know how I could pull myself out of the slump. And for him to see the process unfold from struggling and frustration to excitement and a breath of hope was eye opening. Life is tough, but so are you! Talk about tough. When you or someone you love is diagnosed with cancer, you become tough. Today’s episode is brought to you by…. Life is tough. We can’t take away all the scrapes, bruises, and brokenness before it happens. We can’t prevent pain and hurt in our lives. What we can do is understand that life is tough, but so are you! The K.I.S.S. ~ be T.O.U.G.H.! Make sure you’re tough in your actions. Whether you’re parenting a child or your child is learning a new skill, trust the process. There will be failures, but that means more opportunities for success. Open yourself/your child to surprises. Be open to the surprises that come from the falls, failures, rejections, and ‘not now’ responses. When you understand the change, you are willing to learn which voids the failure. But if you stay stuck in the failure, change will not occur. The blame stops here! Love yourself. You are a beauty of imperfection. Nothing is impossible. You’ve got this! Take A.I.M.! Toughness is good for the mind, body, and spirit. It’s when you let it overwhelm your emotional well-being that you get stuck, frustrated. Temper-tantrums happen. And then you are in the wrong direction. No more of any of this nonsense. Life is tough, but so are you! 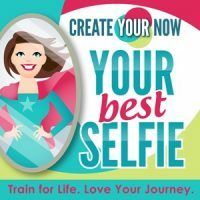 Filed Under: Create Your Now ~ Your Best Selfie Tagged with: Confessions of an Upset Mama, hope, Leadership, parenting, Personal Development, Personal growth, T.O.U.G.H.